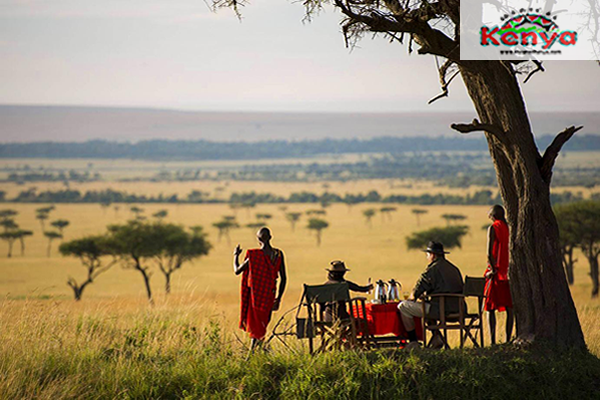 Kenya group of 5 safari holiday package for 8 Nights 9 Days. • Lastly … do not forget to carry with you, an adventurous spirit!!! What does the package cost exclude? Pick up at your hotel or visit our office at 680 hotel for safari briefing. Depart to Samburu game reserve. Enroute lunch. Samburu national reserve is a place of dust red plains, palm-fringed rivers and endless skies.it is one of Kenya’s few Sanctuaries for the near extinction of the blue shanked Somali ostrich, gravy zebra and the rare Beisa Oryx. There are large numbers of elephant herds found in this game reserve. Dinner and overnight at the camp/lodge. Breakfast then spent the entire day on a game drive with packed lunch.as you get to explore the attractions Samburu has. Dinner and overnight at the camp/lodge. After breakfast, drives to Lake Nakuru arriving in time for Lunch.in the afternoon leave for a game drive. Lake Nakuru National Park is flamingo land. It is home to a huge number of lesser flamingos. At any given time, every flamingo in the world seems to be at this beautiful shallow alkaline lake, just south of Nakuru town. The lake is a spectacular ocean of pink surrounded by forest and plains that are home to other wildlife too. With a total area size of 368 square kilometres and home to more than 450 different kinds of birds, Lake Nakuru park is one of the finest ornithological sights in the world. The Lake is world famous as the location of the greatest bird spectacle on earth. Dinner and overnight. After breakfast, drive to Lake Naivasha arrives in time for Lunch. After lunch takes a 2-hour boat ride in the lake for bird watching and hippo viewing. Proceed to Lake Naivasha for a boat ride to (Crescent Island) which is Optional, for animal viewing as you take a walk on the island. Later return for dinner and overnight. Early Morning breakfast then drive to Masai Mara with an en route lunch at Narok. 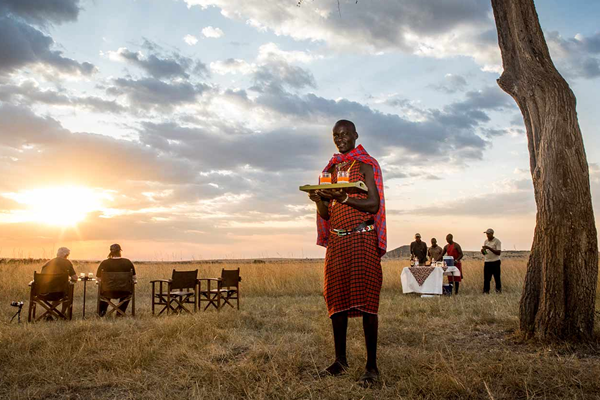 Proceed to Maasai Mara arriving in good time at the park after check in, freshen up then go for an introductory evening game drive. Dinner and overnight at the Lodge. After breakfast, enjoy a full day game drive exploring the park in search of the Big 5. The Maasai Mara Game Reserve is arguably Kenya's most popular game sanctuary. It is the most famous and most visited game reserve in Kenya. The film Out of Africa was made to a great extent in this reserve. 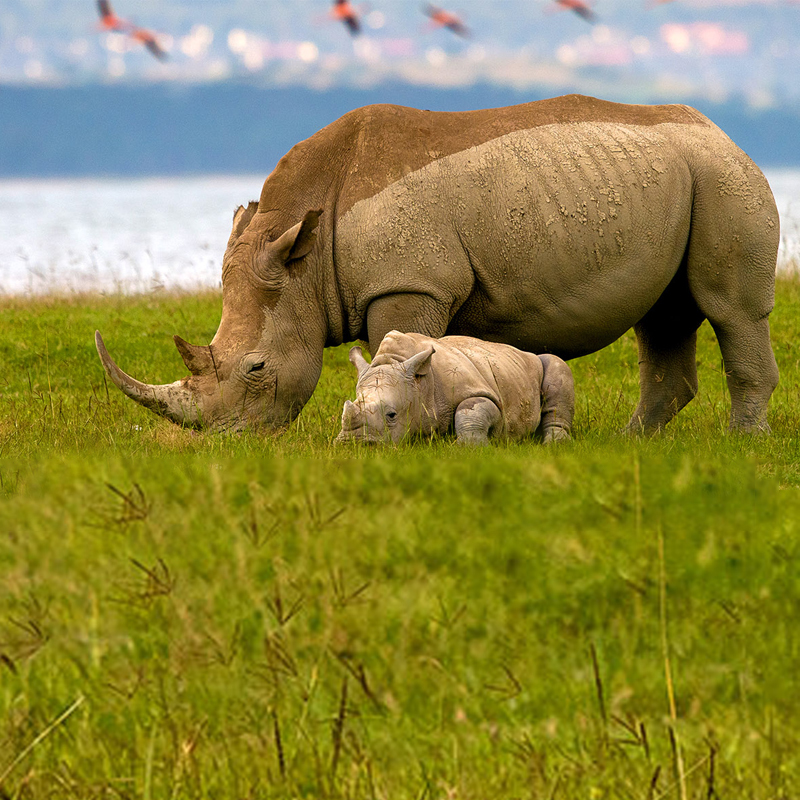 Virtually every type of wildlife can be seen at the Mara. A spectacle worth seeing is the annual migration of millions of wildebeest, zebra and gazelle from Serengeti plains across the Tanzania border and the Mara River to reach Maasai Mara grazing fields from late June. The dramatic crossing of the river and the preying on the migrants by predators can be viewed from early July to mid-October. The reserve abounds with bird life close to about 452 species have been recorded. Picnic lunch will be provided. 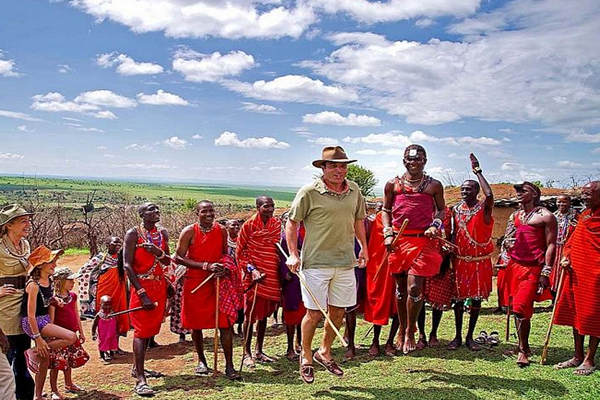 You have the option of visiting the Maasai Village. Dinner and overnight. Get up early to enjoy a delicious breakfast at your lodge/camp. Depart by road to Amboseli National Park. There are more than 420 species of birds Park shelters and has a huge population of elephants and other big game attracted to the area by underground springs fed by the melting snows of Mount Kilimanjaro. Have lunch and enjoy an afternoon game drive en-route to our lodge/camp for dinner and overnight. Early morning breakfast. after breakfast Full day spends in the park with packed lunch in search of its popular residents like the well-known predators and their opponents like the Zebra, Wildebeest, Giraffe, Hippo with a view of Mt Kilimanjaro.Later return to your camp for dinner and overnight at the Camp/lodge. Wake up early in the morning for game drives, and return to your lodge for breakfast Then Proceed to Nairobi. MR BOKU WILL TAKE YOU THERE!!!!!!!! !